Pier Giorgio Frassati (Italian, 1901-1925). Bl. Frassati was a member of the Third Order of Saint Dominic and social activist, who died of polio aged 24. He was beatified on May 20, 1990 by Pope John Paul II. Chiara Badano (Italian, 1971-1990). Bl. Badano was a teenager from the Focolare Movement who died of bone cancer. She was beatified at lightning speed 20 years after her death on September 25, 2010 under Pope Benedict XVI. Oscar Romero (Salvadoran, 1917-1980). Bl. Romero is the only contender from the Americas and the only martyr in the group. He was beatified on May 23, 2015 under Pope Francis. John Henry Newman (English, 1801-1890). Bl. Newman was an Anglican priest, poet and theologian and later a Catholic cardinal. He was beatified in England on September 19, 2010 by Pope Benedict during his papal visit there. All four are eligible for canonization as all four have been beatified and are one miracle away from being elevated to the altars. Obviously, the poll is non-binding and neither its result nor any showing of popularity regarding each candidate will move that person closer to the sainthood. This is not to say that the opinion of the faithful is not taken into account in the canonization process. The “sensus fidelium” comes to bear indirectly in at least two ways. First, the requirements include that the person nominated for the sainthood have a "reputation for holiness." Secondly, after a person has been beatified or canonized, the Church likes to see the saint develop a “cult” of devotion. The four sainthood candidates represented in the CNA poll each has the backing of his or her own constituency, for lack of a better word, within Catholicism. During the first twenty-four hours that the poll was open, the “competition” was neck and neck. Initially, Bl. Romero lagged slightly behind in third place numerically, but statistically tied with other candidates, usually with less than ten votes difference. On day two, Romero rose to the top of the numerical vote count, but still remained statistically tied, with the difference narrowing to a couple of votes at times. When this note was uploaded, Bl. Romero was tied with Bl. Frassati for first place, with each drawing 402 votes and 27%. Bl. Newman was sixteen cast votes and one percentage point behind. Bl. Badano brought up the rear with 312 votes and 21% of the preference. The poll coincides with a big online push by backers of Bl. Pier Giorgio to spur his canonization in 2018. According to a CNA story posted the same day as the poll, a group of Catholic young people are asking for testimonies and signatures in support of his canonization ahead of the 2018 synod on youth in Rome. A web site promoting his cause is entitled “A Letter From Young People Around the World Asking the Holy Father to Canonize Blessed Pier Giorgio Frassati at the Upcoming Synod on Young People, the Faith, and Vocational Discernment in October 2018.” It has reportedly collected thousands of signatures from over 50 countries, directed at the Pope and calling for Bl. Pier Giorgio’s canonization. Obviously, Romero also has an active lobby working in his favor (full disclosure: I encouraged people to vote in his favor on my social networks) during his centennial year, and Bl. Newman also had a full court press during his centennial in 2010, and he enjoys the advantage of being the only candidate from an English-speaking country in this poll of English-speaking readers. This last consideration raises a concern that often shadows canonization causes: whether sainthood candidates have networks of supporters who assist and even contribute financially to their causes, and whether it is appropriate to bring such resources to bear that may give an edge to one cause over another. (Pope Francis has set caps on contributions.) In the Romero cause, there was even a secret “negative campaign” mounted by his opponents, who tried to kill the canonization drive even before it got under way. According to remarks by Romero’s postulator Abp. Vincenzo Paglia, “kilos of letters against him arrived in Rome” and slowed his sainthood process. The interventions included an attempt by the Salvadoran oligarchy to thwart the establishment of a canonization process before it was instituted, but the effort was overridden by John Paul II personally. Update: A litte over twelve hours later, Blessed Pier Giorgio has taken a bit of a lead, as of 1:40 PM California time on Friday. Final update: A checkup on the poll one week later finds Blessed Romero in third place—a showing that does not surprise his followers, familiar with the recurring obstacles in translating his broad support through traditional media. Paulita Pike, a leader of Cultura Romeriana, a small lay movement around Romero in El Salvador, noted that the voting mechanism in the poll, which required users to register a CNA account and forward the poll to Twitter or Facebook, dissuaded participation of people who do not speak English and were unable or unwilling to jump through such hoops to vote. Fr. Héctor Martínez, a priest from a rural village in Mexico who joined a pilgrimage to Romero’s birth site in El Salvador, noted that some of the barefoot peasants who made the three-day journey on foot would not have internet access to participate in the poll. Accordingly, to the minds of Romero’s backers, support for Romero is like a sleeping giant who does not show up in such polls, but did when half a million turned out at his beatification. 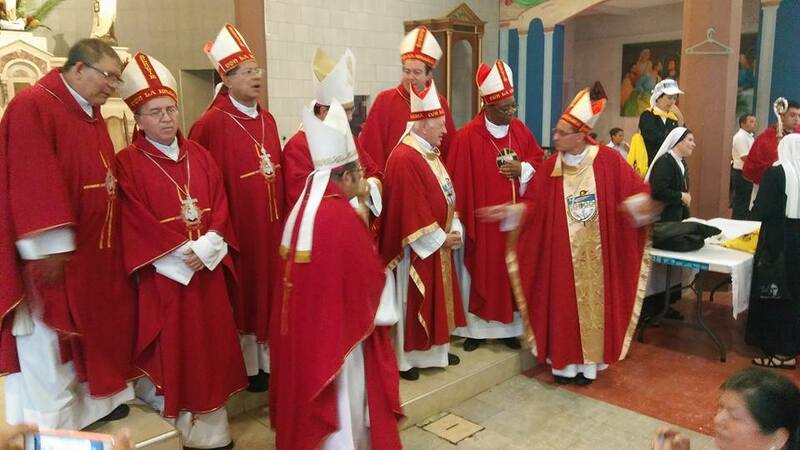 Salvadoran bishops with Card. Ezzati. During the 1982 anniversary of the assassination of Archbishop Oscar A. Romero, a slogan emerged which would resonate in many future commemorations of the martyr bishop: “We want more bishops like Archbishop Romero.” It was a popular veto of sorts against an episcopate perceived as too far removed from the style now promoted by Pope Francis: of “shepherds with the odor of sheep”—or, as the slogan put it, “who align themselves with the poor.” Quite a long time has passed since those days, and now many bishops seem to want to take up the style of the former Archbishop of San Salvador. We examine the praise that twelve of them gave to the martyred archbishop during the recent commemorations of the centenary of his birth. The Bishop of Dallas, Texas, Edward Burns, explained his decision to have a Mass in honor of Romero. “When I went to El Salvador and found out that today was going to be his anniversary, I knew we had to do something, especially for the Latino community living here in Dallas,” said Burns, who assumed his office in February. “Oscar Romero was a great man of faith and a great faithful pastor of our Latin community,” said the bishop during his homily. Other bishops did not make statements but did speak through their gestures. The Bishop of Astorga, Spain, José Antonio Menéndez, inaugurated a stained glass window with the figure of Blessed Romero in a church, while Bishop Joseph Toal of Scotland unveiled a canvas of Blessed Romero to mark his adoption as the patron saint of the Scottish Catholic International Aid Fund (SCIAF). Obispos salvadoreños con el Card. Ezzati. Durante el aniversario en 1982 del asesinato de Mons. Óscar A. Romero surgió una consigna que resonaría en muchas actividades ligadas al obispo mártir: “Queremos obispos como monseñor Romero”. Se convirtió en el veto popular contra un episcopado que las masas percibían como demasiado alejado al estilo que ahora promueve el papa Francisco: los “pastores con olor a oveja”—o como terminaba diciendo la consigna, “junto al pueblo pobre”. Bastante tiempo ha transcurrido desde aquella época, y ahora muchos obispos parecen querer recoger el estilo del ex-Arzobispo de San Salvador. Examinamos el elogio que doce de ellos hicieron al obispo mártir durante la reciente conmemoración del centenario de su nacimiento. En primer lugar, el Obispo de Roma, el Papa Francisco, emitió una carta para el centenario del natalicio de Mons. Romero, en que reza: “Ya se cumplen cien años del nacimiento del beato Óscar Arnulfo Romero, obispo y mártir, ilustre pastor y testigo del Evangelio, decidido defensor de la Iglesia y de la dignidad del hombre. Hijo de la amada tierra de El Salvador, habló a la gente de nuestro tiempo de la obra salvífica de nuestro Señor Jesucristo y de su amor hacia todos, especialmente hacia los pobres y descartados. Tanto en su vida sacerdotal como en el comienzo de su ministerio episcopal experimentó un singular camino espiritual, que lo llevó a propagar la justicia, la reconciliación y paz”. Por su parte, el Cardenal Christoph Schönborn, Arzobispo Viena, dijo que Mons. Romero “pertenece a aquellos grandes personajes que, sin poder y sin armas, han cambiado el mundo solamente a través de su testimonio”. El Arzobispo de Bolonia, Italia, Mons. Matteo Zuppi, escribió en una carta que el centenario de Romero “es una oportunidad importante para agradecer a Dios por su testimonio y elegir, según su ejemplo, un renovado y apasionado compromiso con la paz ... Su amada memoria nos anima y nos confirma en el compromiso con la Paz de Cristo”. El Arzobispo Giovanni Ricchiuti, presidente de la Pax Christi de Italia, destacó que Romero fue un “valiente testimonio del Evangelio por la Justicia y la Paz ... El legado espiritual y la actualidad del testimonio de Monseñor Romero impulsan el compromiso de la comunidad mundial para construir la paz basada en la justicia y los derechos de los pueblos”. Otros han tratado de disertar la inspiración del mártir. En una misa por el centenario de Romero y por la Fiesta de la Asunción de la Virgen, el Arzobispo de San Antonio, Texas, Gustavo García-Siller comentó que “al celebrar también el 100 ° cumpleaños del Beato Óscar Romero, el desaparecido Arzobispo de San Salvador, celebramos la vida de alguien que siguió el ejemplo de María”. El Arzobispo de Los Ángeles, California, José Gómez, hizo énfasis sobre la necesidad de abogar por el bien común del pueblo como lo hizo Romero: “En nombre del Beato Óscar, sigamos trabajando para construir una mejor ciudad de Los Ángeles, un mejor país y un mundo mejor ... Sigamos trabajando con empeño por la reforma migratoria, para mantener a nuestras familias unidas, para lograr derechos para nuestros trabajadores y para despejarles el camino para llegar a convertirse en nuevos ciudadanos de esta gran tierra en la que vivimos”. El que fue su amigo, el Cardenal Gregorio Rosa Chávez, de San Salvador, quiso recordar a otros mártires de El Salvador: “Nos resulta fácil aplicar este calificativo cuando hablamos de monseñor Romero, de los sacerdotes asesinados y de las cuatro mujeres estadounidenses —tres religiosas y una misionera seglar— a quienes se arrebató la vida en diciembre de 1980. Sin embargo tenemos una deuda que debemos comenzar a pagar cuanto antes: estamos obligados por gratitud a Dios y por amor a la verdad, a rescatar la memoria de cientos de mártires anónimos, la mayoría de los cuales son humildes campesinos y humildes campesinas”. El Arzobispo Vincenzo Paglia, postulador de la causa de canonización de Mons. Romero, se detuvo para profundizar sobre su humanidad. “Romero no fue un Supermán”, dijo. “Él temía morir, y se lo confesó a sus amigos en reiteradas ocasiones. Pero él amó a Jesús y a su rebaño más de lo que amó a su propia vida. Esto es lo que significa ser mártir. El amor de Jesús y por los pobres es más grande que el amor de sí mismo. Esto es el poder del mensaje de Romero”. El Arzobispo de Panamá Mons. José Domingo Ulloa expresó un sentimiento parecido: “Ante la gigante figura de Óscar Arnulfo Romero, no podemos olvidarnos lo que él fue: un ser humano que amaba a los suyos, o sea, a todos. Por vocación fue sacerdote, ministro de Cristo y siervo de los que le fueron confiados, especialmente de los campesinos y de los necesitados. Eso es lo que por encima de todo, es lo único que quiso ser. Ahora esperamos con gozo el día de la canonización de monseñor Romero, quien es motivo de inspiración para el compromiso cristiano”. El Obispo de Dallas, Texas, Edward Burns, explicó su decisión de hacer una Misa en homenaje a Romero. “Cuando fui a El Salvador y me enteré que su aniversario iba a ser hoy, supe que teníamos que hacer algo, especialmente por la comunidad latina que vive aquí en Dallas”, comentó Burns, quien asumió su cargo en febrero. “Óscar Romero fue un gran hombre de fe y un gran pastor fiel de nuestra comunidad latina”, proclamó el obispo en su homilía. El Arzobispo de San Juan de Cuyo, Argentina, Jorge Lozano, explicó la admiración por Romero que sienten muchos fieles, incluso el arzobispo: “así son los santos, factores de unidad y comunión aun ante el odio de los enemigos”, y expresó: “Dan ganas de imitar su entrega y claridad. Acaricio y beso su tumba, su memoria y su vida”. Otros obispos no emitieron pronunciamientos pero sí hablaron a través de sus gestos. El Obispo de Astorga, España, José Antonio Menéndez, inauguró un vitral con la figura del Beato Romero en una iglesia, mientras que el Obispo Joseph Toal de Escocia, develó un lienzo del Beato Romero para marcar su adopción como el santo patrono del Fondo de Ayuda Internacional Católico Escocés (SCIAF, por sus siglas en inglés). I vescovi salvadoregni con il Card. Ezzati. Durante l’anniversario 1982 dell’assassinio di mons. 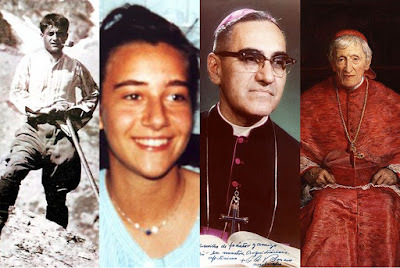 Oscar A. Romero, è emerso uno slogan che sarebbe stato sentito in molte future commemorazioni del vescovo martirico: “Vogliamo vescovi come mons. Romero”. Era un veto popolare nei confronti di un episcopato percepito come troppo lontana dallo stile promosso da Papa Francesco: di “pastori con l’odore delle pecore” o, come lo dice lo slogan “accanto ai poveri”. Da quegli anni è passato molto tempo, E ora molti vescovi sembrano voler assumere lo stile dell’ex Arcivescovo di San Salvador. Esaminiamo la lode che dodici di loro hanno dato all’arcivescovo martire durante le recenti commemorazioni del centenario della sua nascita. In primo luogo, il Vescovo di Roma, Papa Francesco, ha inviato una lettera per il centenario della nascita di Mons. Romero, in cui prega: “Sono passati cento anni dalla nascita del beato Oscar Arnulfo Romero, vescovo e martire, illustre pastore e testimone del Vangelo, determinato difensore della Chiesa e della dignità dell’uomo. Figlio della terra amata di El Salvador, ha parlato con la gente del nostro tempo circa il lavoro salvifico del nostro Signore Gesù Cristo e il suo amore per tutti, in particolare i poveri e gli emarginati. Nella sua vita sacerdotale e all’inizio del suo ministero episcopale ha sperimentato un percorso unico spirituale che lo ha portato a promuovere la giustizia, la riconciliazione e la pace”. 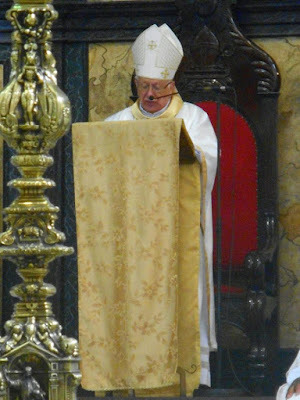 Da parte sua, il Cardinale Christoph Schönborn, Arcivescovo di Vienna, ha affermato che mons. Romero “appartiene a queste grandi figure che, senza potere e senza armi, hanno cambiato il mondo solo attraverso la loro testimonianza”. L’Arcivescovo di Bologna, mons. Matteo Zuppi, ha scritto in una lettera che il centenario di Romero è “un’occasione importante per ringraziare Dio della sua testimonianza e per scegliere, sul suo esempio, un impegno rinnovato e appassionata per la pace ... La sua cara memoria ci incoraggia e ci conferma nell'impegno per la Pax di Cristo”. L’Arcivescovo Giovanni Ricchiuti, presidente di Pax Christi d’Italia, ha sottolineato che Romero è stato un “coraggioso testimone del Vangelo per la giustizia e per la pace ... L’eredità spirituale e l’attualità della testimonianza di mons. Romero sproni l’impegno della comunità mondiale nella costruzione della pace, fondata sulla giustizia e sui diritti dei popoli”. Altri hanno cercato di disseccare l’ispirazione che ha motivato il martire. In una messa per il centenario di Romero e la festa dell’Assunzione della Vergine, l’Arcivescovo di San Antonio, Texas, Gustavo Garcia-Siller ha commentato che “mentre celebriamo anche il 100 ° compleanno del beato Oscar Romero, defunto arcivescovo di San Salvador, celebriamo la vita di chi ha seguito questo esempio di Maria”. L’Arcivescovo di Los Angeles, in California, Jose Gomez, ha sottolineato la necessità di promuovere il bene comune del popolo come Romero ha fatto: “Nel nome di Beato Oscar, continuiamo a lavorare per costruire un migliore Los Angeles, una America migliore e un mondo migliore ... continuiamo a preoccuparci per la riforma dell’immigrazione—per tenere insieme le nostre famiglie, per dare diritti ai nostri lavoratori e per aprire la strada a rendere nuovi cittadini per questa grande terra nostra”. L’amico di Romero, il Cardinale Gregorio Rosa Chavez di San Salvador, ha voluto ricordare altri martiri di El Salvador: “È facile applicare questo termine quando parliamo di mons. Romero, dei sacerdoti uccisi e delle quattro donne americane—tre religiosi e una missionaria secolare—le cui vite sono state strappate nel dicembre del 1980. Tuttavia abbiamo un debito che dobbiamo cominciare a pagare il più presto possibile: siamo impegnati dalla gratitudine a Dio e per l’amore della verità, per recuperare il ricordo di centinaia di persone anonimi martiri, la maggior parte dei quali sono umili uomini contadini e donne contadine”. L’Arcivescovo Vincenzo Paglia, postulatore della causa della canonizzazione di mons. Romero, fa una pausa per riflettere sulla sua umanità. “Romero non era un Superman”, disse. “Aveva paura di morire, e ha confessato questo ai suoi amici in diverse occasioni. Ma amava Gesù e il suo gregge più di quanto amasse la vita. Questo è il significato del martirio. L’amore per Gesù e per i poveri è maggiore dell’amore per se stessi. Questo è il potere del messaggio di Romero”. L’Arcivescovo panamense Jose Domingo Ulloa ha espresso un simile sentimento: “Davanti della figura gigante di Oscar Arnulfo Romero, non possiamo dimenticare quello che era: un essere umano che amava il suo popolo, che significa tutti. Per vocazione fu sacerdote, ministro di Cristo e servitore di coloro che gli erano stati affidati, specialmente dei contadini e dei bisognosi. Questo è quello che voleva essere, al di sopra di tutto il resto. Ora aspettiamo con gioia la canonizzazione di mons. Romero, che continua ad esserecausa di ispirazione per l’impegno cristiano”. Il Vescovo di Dallas, Texas, Edward Burns, ha spiegato la sua decisione di avere una messa in onore di Romero. “Quando sono andato in El Salvador e ho scoperto che oggi sarà il suo anniversario, sapevo che dovevamo fare qualcosa, soprattutto per la comunità latinoamericana che vive qui a Dallas”, ha detto Burns, che ha assunto il suo ufficio a febbraio. “Oscar Romero era un grande uomo di fede e un grande pastore fedele della nostra comunità latina”, ha detto il vescovo durante la sua omelia. L’Arcivescovo di San Juan de Cuyo, Argentina, Jorge Lozano, ha spiegato l’ammirazione per Romero di molti fedeli, anche di lui stesso: “così sono i santi, fattori di unità e comunione anche davanti dell’odio dei nemici”, ha aggiunto: “Si desidera imitare la sua resa e la sua chiarezza. Accarisco e bacio la sua tomba, la sua memoria e la sua vita”. Altri vescovi non hanno fatto dichiarazioni, ma hanno parlato con i loro gesti. Il Vescovo di Astorga, Spagna, Jose Antonio Menéndez, ha inaugurato una vetrata con la figura del beato Romero in una chiesa, mentre il Vescovo Giuseppe Toal di Scozia ha presentato una tela del Beato Romero per segnare la sua adozione come santo patrono del Fondo Scozzese Cattolico di aiuto Internazionale (SCIAF). Before a packed San Salvador Cathedral, Cardinal Ricardo Ezzati Andrello, Archbishop of Santiago de Chile, commissioned as Pope Francis’ personal representative for the occasion, delivered the homily for the centenary of Blessed Oscar Romero’s birth on August 15, 2017. The Mass was attended by the President of El Salvador and other officials. 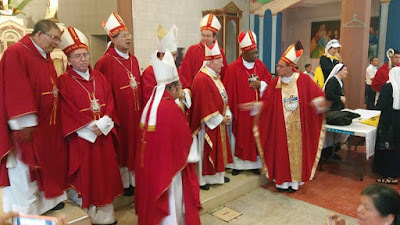 Church luminaries included San Salvador Archbishop Jose Luis Escobar Alas and his auxiliary, the newly-minted Cardinal Gregorio Rosa Chavez. Also in attendance were Cardinal Luis Antonio Tagle, the Archbishop of Manila; Cardinal Leopoldo Brenes, the Archbishop of Managua; Cardinal Baltazar Enrique Porras Cardozo, Archbishop of Merida (Venezuela); Cardinal José Luis Lacunza Maestrojuán of Panama, as well as other regional archbishops and all the bishops of El Salvador, in addition to a few others from further afield, such as Archbishop Giovanni Ricchiuti, President of Pax Christi of Italy. Born in Italy, Cardinal Ezzati arrived in Chile as a young man, where he became immersed in the culture. He was even accused of being a communist and a subversive by the right-wing dictatorship of Gen. Augusto Pinochet for the ideas he expressed in a book he co-authored in 1979 which was criticized by the Chilean minister for education as being a betrayal of the nation. On the Solemnity of the Assumption of the Blessed Virgin to the Heavens, in 1917, shortly before dawn cleared, Oscar Arnulfo Romero Galdamez, the second son of Santos Romero and Guadalupe de Jesus Galdamez, opened his eyes to this world. He was born in Ciudad Barrios, in a modest family. His father worked as a telegrapher at the post office; his mother wanted to be a school teacher, but she dedicated herself to her family of eight children. The boy Oscar learned the “doctrine”, as the Catechism was called then. From the lips of his father and his mother a devout heart was formed, possessed of a deep Marian devotion. They prayed the Angelus together with the bells that announced the end of the workday, and they recited the Holy Rosary. The relationship between the mystery of Mary, the Virgin Mother, which we celebrate today, with Archbishop Romero, is striking. He is born on the day when the Church celebrates the triumph of Mary above all evil, assumed body and soul to the Heavens, and he dies at the start of the celebration of the great feast of the Incarnation of the Son of God in the immaculate womb of the Virgin Mary, wherein we pass from the painful mysteries to the glorious mysteries of that Rosary that he never stopped praying. It is impressive and exciting to read and reread some of his homilies as well as his Diary. How much good it has done my soul! The Pope has kindly sent me as his personal Legate, to represent him in this ecclesial event that brings you together on this day of joy. You know as much as I do that he has great love for this land “that bears the name of the Divine Savior”, and you also know of his repeatedly stated desire that the martyrdom of Archbishop Romero bear abundant fruits of Ecclesial communion, reconciliation and solidarity among Salvadorans, in order to build a just and noble society. Much have you suffered; challenging are the circumstances you continue to face. The life of every Salvadoran is too valuable to not overcome homicidal violence with “the violence of love.” In this hopeful struggle for life, the Pope is with you, he exhorts you to humanize and share with equity the development of your country, and he sends you his apostolic blessing. Dear brothers, sisters, and friends: this is not the time to retell the story of the person we celebrate this morning. I know that, throughout this Jubilee year, you have been enriched spiritually with it; however, let me highlight just a few of its contours, to attempt to penetrate its heart and its message. Somewhat shy and introverted, he entered the Minor Seminary led by the Claretian Fathers at age 13; at twenty, he went to the San José de la Montaña Seminary; from there, after being sent to Rome, he was ordained a priest on April 4, 1942. A little while later, he had to move up his return to his country because of the Second World War. Once back, he exercised the priestly ministry in several communities, including as a parish priest in the Cathedral of San Miguel. He was later appointed Auxiliary Bishop of San Salvador (1970), Bishop of Santiago de Maria (1974), and then Pope Paul VI appointed him Archbishop of San Salvador on February 23, 1977, during complex and challenging times for the Homeland and for the Church. Thus progressed the apostolic life of this young traditional priest. He was a virtuous man, very active in his parish, close to the people, charitable to the poor, albeit somewhat removed from the renewed pastoral options promoted after the Council. Nevertheless, something began to change in him, especially in Santiago de Maria, as he got to know more closely the extreme poverty of the peasants. The righteous young man begins to worry about injustice and the Good Shepherd, who must do everything with everyone and for everyone, has the experience that it is not enough to accompany the poorest and to counsel the richest. Evangelizing, especially after the Apostolic Exhortation of Pope Paul VI «Evangelii Nuntiandi», means “bringing the Good News into all the strata of humanity ... affecting and as it were upsetting, through the power of the Gospel, mankind's criteria of judgment, determining values, points of interest, lines of thought, sources of inspiration and models of life, which are in contrast with the Word of God and the plan of salvation” (EN 18-19). And there is no equidistance between good and evil, the just and the unjust, the poor and the rich. This is the preferential option for the poor and excluded, as an option of God himself in the history of his people. His pastoral ministry continues and tragic events arrive, which rattle his core. One of them was the massacre of a group of pilgrims returning to their village after visiting a shrine. Shortly afterwards, Father Rutilio Grande, who worked on the formation of Ecclesial Base Communities and supported peasant organization, was murdered, shot-up by “strangers”, alongside two parishioners on a rural road in his parish. This was too much. 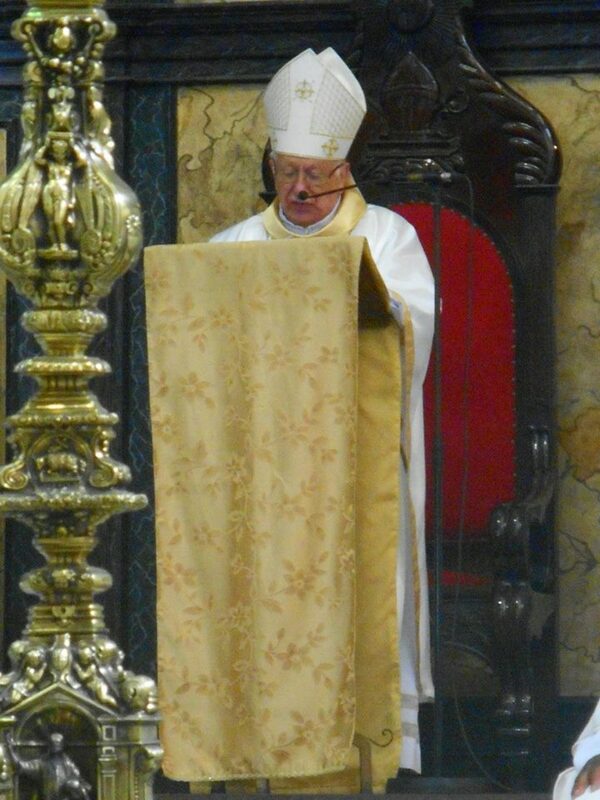 The fire of God scorched the Archbishop's heart. He demanded an immediate investigation from the President of the Republic and, on the following Sunday, celebrated a Single Mass in San Salvador with more than 100,000 participants. Overcoming his timidity, he became the “voice of the voiceless,” to proclaim “the violence of love” that banishes the violence of hatred. No to the violence of the regime. No to guerrilla violence. Yes to a peace that is based on justice and truth, and is respectful of the rights of the poor. Turning from words to facts, he created the “Legal Aid” office, to assist with the human rights of the poorest peasants, an initiative that had a close relationship with the Vicariate of Solidarity, created by the Church in Chile to take up the victims of the dictatorship. Additionally, this “voice of the voiceless” is heard on the radio throughout the country, every Sunday, providing an evangelical and Christian perspective on events; a word that forms and informs, a message of hope and respect for life, in a language understood by the poorest. The voice of the Pastor transcends the confines of San Salvador, and rattles the heart of the Church in America and other continents. As is typical of a controversial figure, his word is rejected by some and applauded by others. If you stand at the western façade of Westminster Abbey, a prominent Anglican temple, you will see in a prominent place in a gallery of ten martyrs a statue of Archbishop Oscar Romero, flanked by the Rev. Martin Luther King and the Lutheran theologian, Dietrich Bonhoeffer. What happened in the heart of Archbishop Romero that he allowed himself to be transformed in this way by the Spirit of God? Humanly speaking, his closeness with the poor, as he took on greater pastoral responsibilities, led him to see the injustice suffered by the peasants with his own eyes, and to witness with Jesus, how difficult it is for a rich blind man to enter the Kingdom of Heaven. Today, based on the Conference at Aparecida, we can say that our martyr experienced a profound “pastoral conversion”. It is a decidedly missionary conversion that directly implicates pastoral life and its options. According to Aparecida, “the Church’s ministry cannot ignore the historic context in which its members live.” That is why it must be open to “giving up outdated structures that are no longer helpful for handing on the faith”, moving from “a pastoral ministry of mere conservation to a decidedly missionary pastoral ministry.” Was that not what Archbishop Romero lived out years before Aparecida? Pastoral conversion leads one to want to live like Jesus with the weakest, the poorest, those who do not count. And from that purifying experience, to proclaim the Good News with one’s life, witness and word, taking on the integral defense of life that includes social justice. I remember in this connection the urgent appeal made by Pope John Paul II thirty years ago during his visit to Chile, at ECLAC headquarters, for the entire American continent: “The poor cannot await!,” he said. In a world of so much wealth, so many possibilities, so many technological advances, it is incomprehensible that the poor should still be waiting. And it is even more incomprehensible that this continues to be the case in a Christian Continent. Those who, like Archbishop Romero, enter decisively on the path of Jesus ... who speak and act in the manner of Jesus, know that they are liable to pass - to make Pasch - in a way similar to the Master. This is what happened to Romero. After his brief homily, in the rite of offering of gifts, before entering the heart of the Eucharist, the murderous bullet targeted his heart ... The sniper received a few coins, like Judas. A few days earlier, the same or another assassin had missed an opportunity to kill Archbishop Romero at another altar in the Archdiocese. That delay made it possible for us to hear the spiritual testament of this great Martyr Archbishop, in his brief homily before dying: “if the grain of wheat does not fall to the ground and die ...” And upon saying this, he gave up his spirit. However, it is not only the bullet, the dagger, or the sword that make the martyr. In fact, in the words of Pope Francis the martyrdom of Archbishop Romero continued after his death through incomprehension, insults, slander. Martyrdom is a gift from God. It is God who gives martyrdom as the supreme gift of love in the extreme. It is God who, by his Spirit sustains, the martyr, as he did with his Son Jesus, nailed to a Cross. The figure of Archbishop Romero cannot be explained without this “virtue”, that is, without the divine strength that would establish martyrdom. There are martyrs for the sake of faith, “in hatred of the faith”; others are martyrs for charity; others, and especially in our American Continent, are martyrs for the sake of justice. It is fair to ask, are there martyrs of hope? Hope is the humblest of the theological virtues. But there can be no theological faith, if one does not have in one’s sight the point of arrival of human life and of creation, that is, the new earth and the new heavens. For its part, martyrdom for love does not exist without the virtue of hope, since the characteristic of love in the extreme, is to fast-forward the absolute moment, to live a glimpse of heaven amid the greatest calamities of this earthly life. Hunger and thirst for justice are also causes of martyrdom, especially when one lives with the moral certainty that fighting for them will be a reason for rejection and even death by those who create the injustice. All martyrs live by virtue of their hope, wholeheartedly believing that another world is possible. Together with Blessed Oscar Romero, the Archbishop of this City, all Pastors of the Church in El Salvador, together with each of you, with our hearts and gaze planted on this earth, I invite you to invoke the beloved Mother and Patroness of this People: Our Lady of Peace, pray for us. Amen. Beato Romero, "Mártir de la Esperanza"
Happy 100th Birthday, Blessed Romero! ¡Feliz 100 ° cumpleaños, Beato Romero! Buon 100 ° compleanno, Beato Romero!